California had a population of 37,722,000 in 2012, according to statistics from the Kaiser Family Foundation. The state had a notable equal gender distribution, with 50% males and 50% females. While adults aged 19 to 64 made up 62% of the population, senior citizens comprised 12% of the total number of California residents. From 2009 to 2011, the median yearly income for the state’s households amounted to $56,074. In 2010, California recorded 161.9 fatalities per 100,000 people due to heart disease. According to doctors’ diagnoses, diabetes affected more than 1.2 million residents aged 45 to 64, and nearly 380,000 residents aged 75 and up. Diabetes accounted for 19.7 fatalities per 100,000 individuals. Cancer was the second leading cause of mortality in California in 2010, according to the California Cancer Facts & Figures 2014. This severe illness is responsible for 56,000 fatalities annually, which equals to 153 individuals per day. Estimates indicate that 156,000 California residents would develop cancer in 2014. Prostate cancer prevails among men while breast cancer is the most widespread among women. Trust for America’s Health reports that in 2012, approximately 12.6% of California adults engaged in smoking, which can result in lung cancer. Moreover, the organization notes that 17.9% of the overall population was not insured for health care and long-term care. 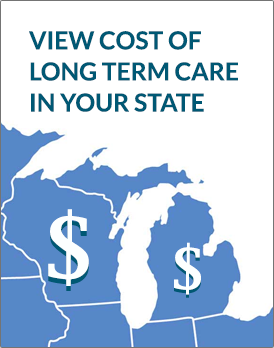 Below are the average daily cost* of long-term care services in California. On March 22, 2013, Transamerica began marketing its TransCare II 2012 long-term care insurance policy. This product features a 30% Couples discount, a 15% discount for spouses or partners enrolling singly or for different coverage, Remain at Home Benefit, and Waiver of Premium rider. Genworth introduced its Privileged Choice Flex and Privileged Choice Flex Partnership to California’s LTCI market on August 1, 2013. These products help policyholders through flexibility in premiums and coverage, ensuring client satisfaction. Furthermore, the Privileged Choice Flex Partnership Brochure became available in the state in September 2013. In order to comply with state regulations, Genworth revised the minimum benefit of its Partnership long-term care insurance policies in California. The minimum daily benefit for Partnership applications by January 1, 2014 must amount to $180. Meanwhile, the minimum monthly benefit equals $5,580. California residents can also buy LTCI policies from Bankers Life, John Hancock, LifeSecure, Massachusetts Mutual, MedAmerica, Mutual of Omaha, and Northwestern. Medicare Part A pays for some nursing facility care and home health care services. On the other hand, Part B covers other services such as therapy. People with conditions that necessitate long-term care can sustain their medications through Medicare Part D. With 4.5 million dependents in 2010, California had the biggest number of Medicare clients among states. The total number of beneficiaries keeps on rising due to California’s aging population. Some states have alternative names for their Medicaid programs. In California, Medicaid is known as Medi-Cal. It assists the state’s low-income older adults and people with disabilities in getting the needed long-term care services. The state and federal governments share the funding for Medi-Cal, which operates under a state-based Marketplace called Covered California. Like other states, California went forward with expanding Medicaid coverage to more citizens in January 2014. The state’s working and retired public employees, as well as their immediate family members 18 to 79 years of age, can benefit from the CalPERS long-term care program. In fact, CalPERS is non-profit and relies on voluntary action. 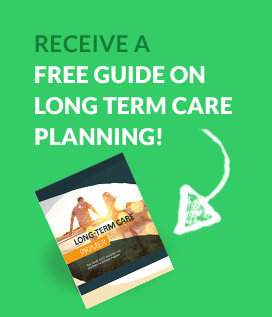 During the 1990s, California and three other states initiated the Long-Term Care Partnership Program. California enacted a dollar-for-dollar system, which preserves a given quantity of assets upon purchase of a Partnership LTCI policy. Assists through LTC planning tools, brochures, relevant information, and other resources. Locates LTC facilities, provides elder abuse support, and offers consumer resources. Helps in finding LTC services, gives health-related tips, and provides resource links.